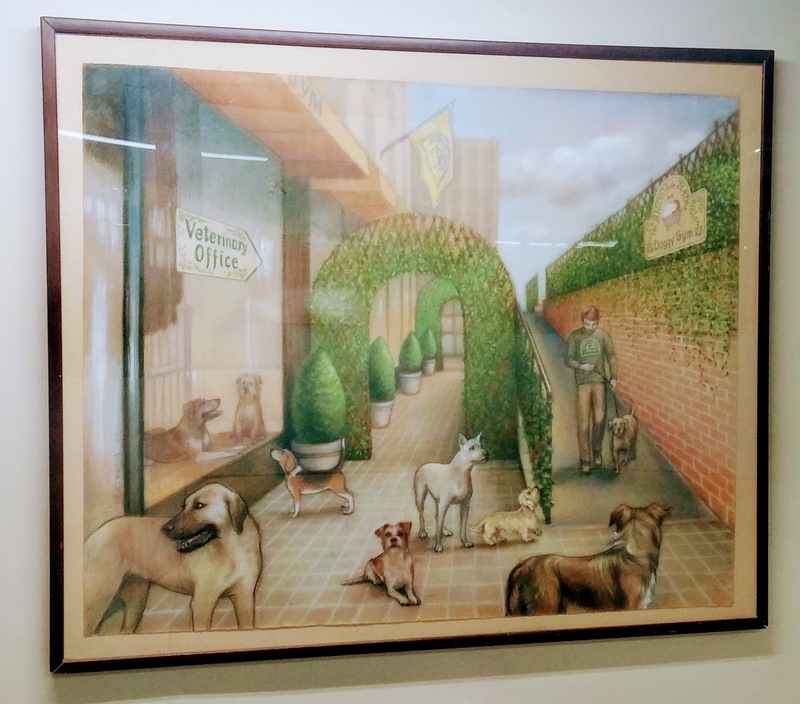 Since I’m dog sitting for my roommate during her spring break this week, I thought it would be fitting to feature a piece of artwork I saw at Biscuits & Bath on the Upper East Side of Manhattan last month when it was still dead winter. Sully took obedience classes there, and I’m kind of wondering if out in front of the center ever looks like it’s depicted in this piece. Perhaps during the spring and summer months? Also, is it just me, or does the greenery on the archway, banister, and fence make this place like some sort of Doggy Garden of Eden?